With a week to go Big Ted came to meet our daffodils! 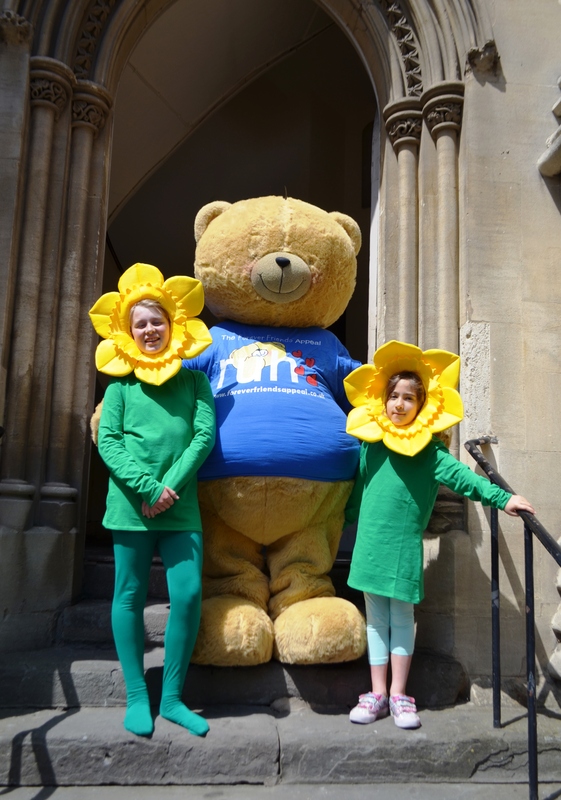 Big Ted blesses the singing daffs – Edward Cook and Miranda Webb – who will be singing the opening spring song for a Shakespeare production in St Michaels Without. The production will be raising money for the cancer care centre at the Royal United Hospital, in support of the forever friends appeal.